India is one of the oldest civilizations in the world with a kaleidoscopic variety and rich cultural heritage. It has achieved all-round socio-economic progress during the last 70 years of its Independence. India has become self-sufficient in agricultural production and is now one of the top industrialized countries in the world and one of the few nations to have gone into outer space to conquer nature for the benefit of the people. It covers an area of 32,87,263 sq. km, extending from the snow-covered Himalayan heights to the tropical rain forests of the south. As the 7th largest country in the world, India stands apart from the rest of Asia, marked off as it is by mountains and the sea, which give the country a distinct geographical entity. Bounded by the Great Himalayas in the north, it stretches southwards and at the Tropic of Cancer, tapers off into the Indian Ocean between the Bay of Bengal on the east and the Arabian Sea on the west. Haryana, situated in northern India, with 1.37% of geographical area and 2.1% of the population of the country, has a proud history dating back to the Vedic Age. The State was the home of the legendary Bharata dynasty, which has given the name Bharat to India. 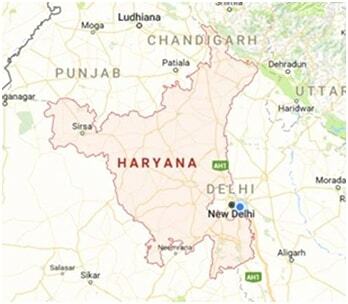 Haryana finds mention in the great epic of Mahabharata. Kurukshetra, the place of the epic battle between the Kauravas and the Pandavas, is situated in Haryana. 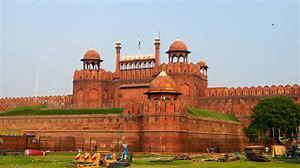 The State continued to play a leading part in the history of India till the advent of the Mughals and the rise of Delhi as the imperial capital of India. Thereafter, Haryana functioned as an adjunct to Delhi and practically remained anonymous till the First War of India's Independence in 1857. Haryana thus became a part of the Punjab province. With the reorganisation of Punjab on 1 November 1966, Haryana was made into a full-fledged State. Thereafter, the state has made a mark in sports, enterprise and agriculture. 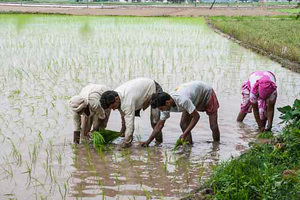 Despite recent industrial development, Haryana is primarily an agricultural state. About 70% of residents are engaged in agriculture. Haryana ranks second in food grain production in the country. Wheat and rice are the major crops. Haryana is self-sufficient in food production and the second largest contributor to India's central pool of food grains. The major crops are Wheat, Rice, Sugarcane, Cotton, Oilseeds, Gram Barley, Corn, Millet etc. 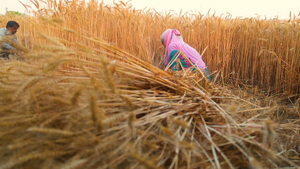 grown over Rabi and Kharif cropping season. Haryana contributed significantly to the Green Revolution in India in the 1970s that made the country self-sufficient in food production. The state has also significantly contributed to the field of agricultural education in the country with Asia's biggest agricultural University - Chaudhry Charan Singh Haryana Agricultural University is located at Hisar.